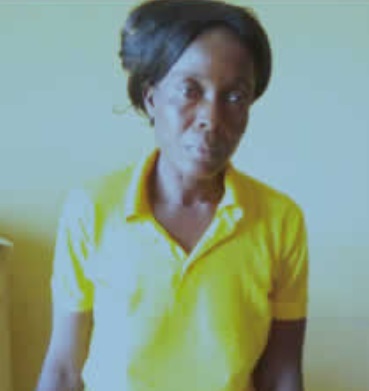 The Ogun State Police Command has arrested a housewife, Rose Michael, for allegedly cutting the hands and thigh of her stepdaughter, Blessing, with a razor blade. Rose was said to have inflicted deep injuries on the eight-year-old after she (Blessing) had a disagreement with her (Rose’s) daughter at their home on Onofowokan Street, Ita-Oluwa, in the Ogijo area of the state. The stepmother reportedly called the victim’s father, James Michael, who was at work, complaining that Blessing had injured her daughter. She threatened to avenge her daughter by inflicting injuries on Blessing as well. James, who alerted the police, said he had begged his wife to wait for him till he returned home to sort out the issues. He said he was shocked to see Blessing’s deep cuts as blood flowed from the wounds. The Ogun State Police Public Relations Officer, Abimbola Oyeyemi, who confirmed the incident in a statement on Sunday, said the suspect blamed the devil for her action. He said, “The suspect was arrested following a complaint from her husband, James Michael, that his wife called him on the telephone while he was away at work, informing him that his daughter, Blessing, beat her little daughter and injured her on her leg. He said his wife threatened to injure her in revenge. “The complainant stated further that he pleaded with her to wait for him to see what actually happened. 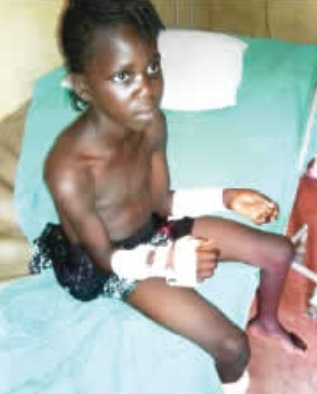 But before his arrival, the woman had used a razor blade to inflict deep cuts on the girl’s two hands and thigh, which led to her bleeding profusely. Oyeyemi, who said the victim had been admitted to a private hospital in the community, Lenard Hospital, Ogijo, noted that the state Commissioner of Police, Ahmed Iliyasu, had ordered the transfer of the case to the Anti-Human Trafficking and Anti-Child Labour Unit of the Criminal Investigation and Intelligence Department, Eleweran, for further investigation. He said the suspect would be prosecuted at the end of investigation, warning that the command would not tolerate any act of child brutality.